Happy Thanksgiving Rubber Cafe friends. We hope you are enjoying your special day with family and friends. May you have a blessed day knowing we are grateful for you and your support. 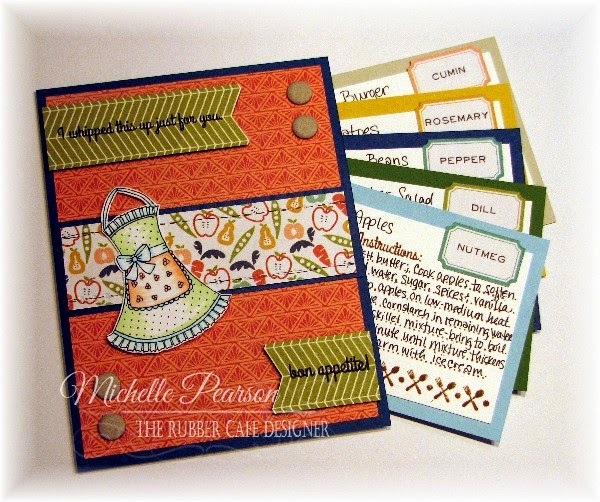 Now, lets check out what Michelle Pearson is sharing today! Howdy! 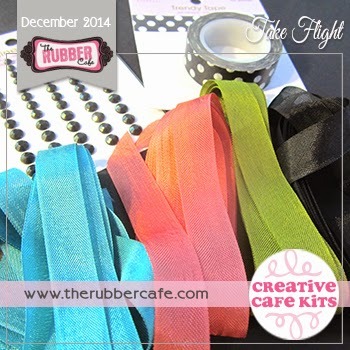 Here is a fun little project I whipped up for you today using The Rubber Cafe's Now We're Cookin Creative Cafe Kit. 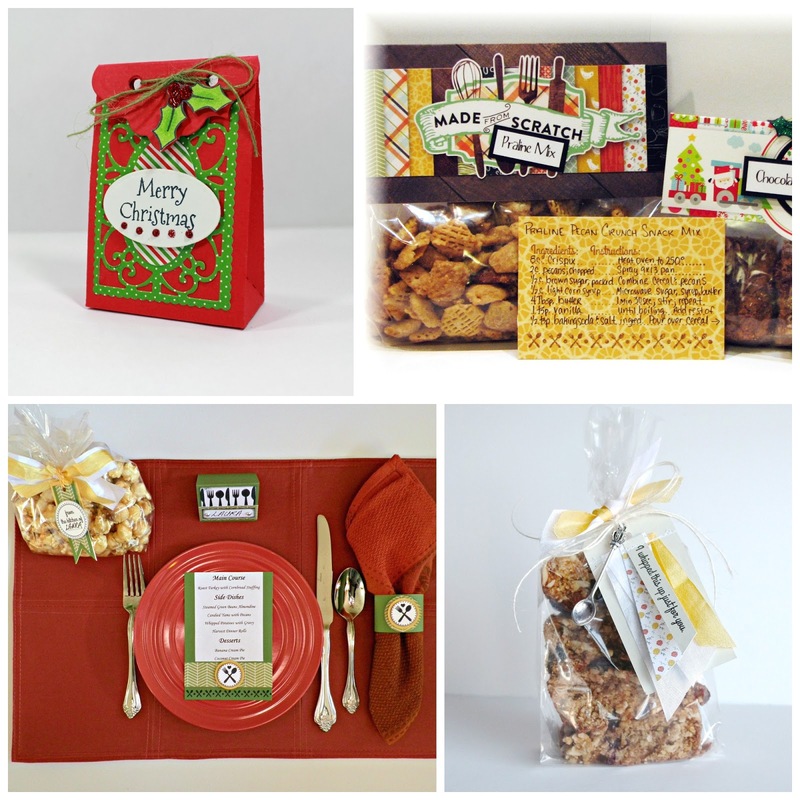 This would be perfect to hand your Thanksgiving Host today! 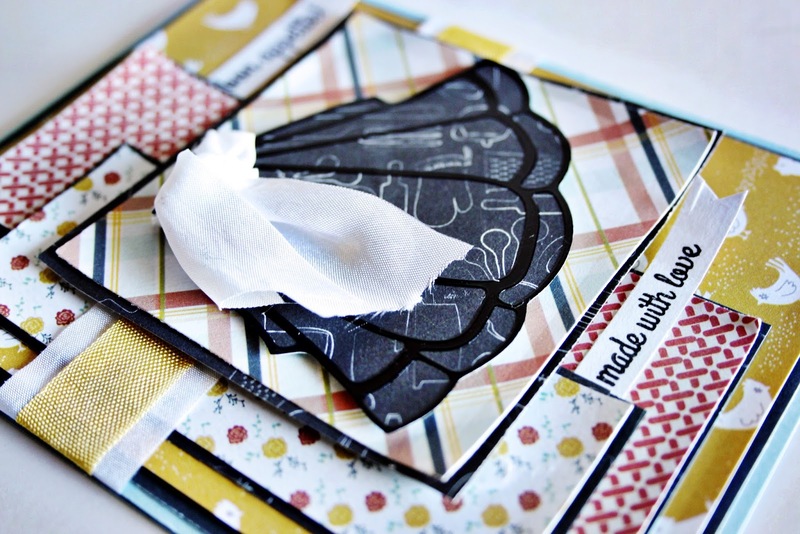 I started out by making a card with various papers in the kit. 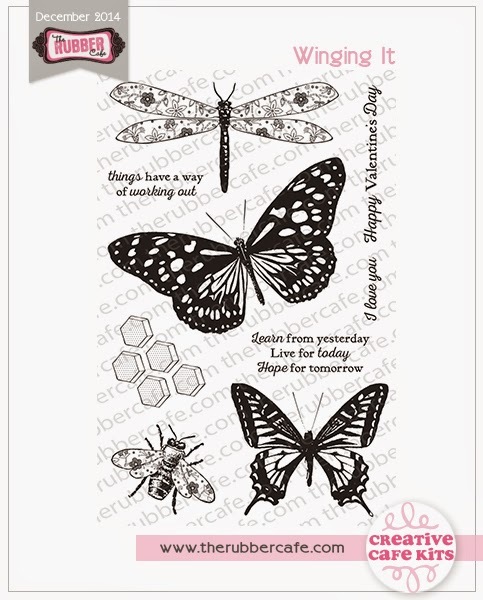 I stamped and colored the image with Copic Markers: B01, BG10, R02, G40. 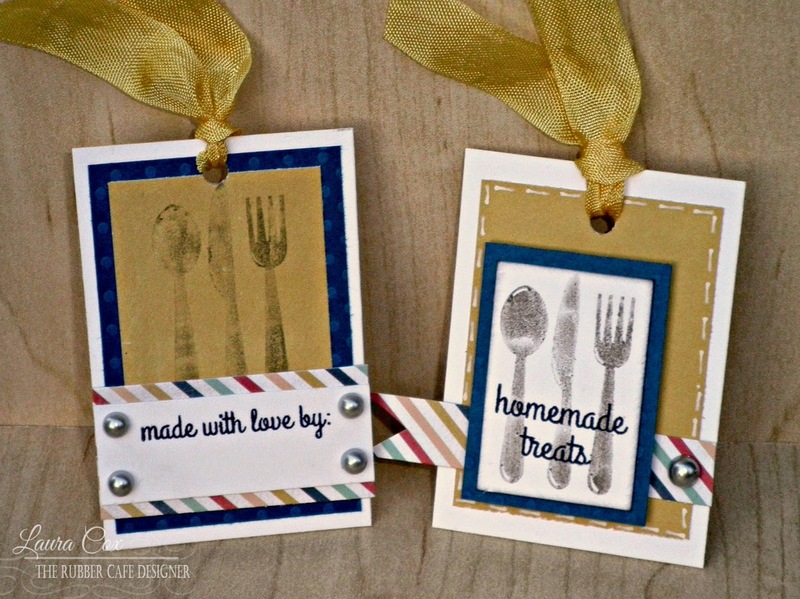 I fussy cut the apron and the sentiments and popped them up on foam tape. To create my recipe pocket I taped the top and bottom edges shut with Scor Tape. 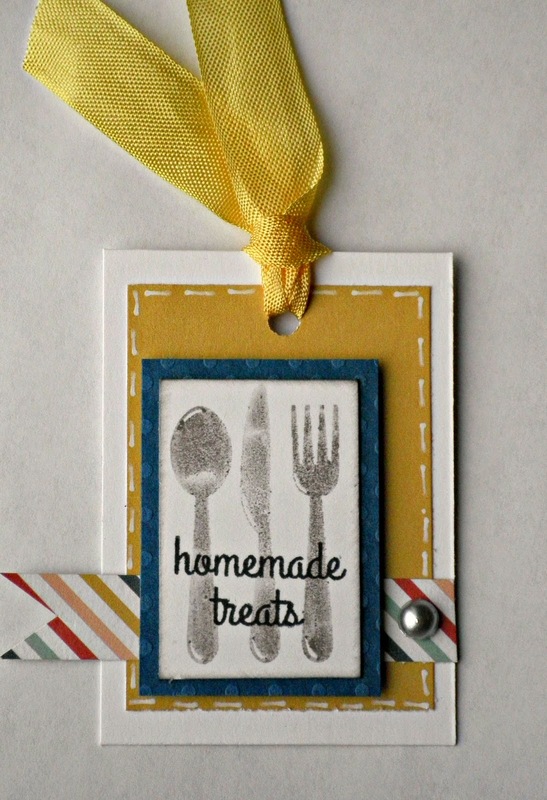 To create my recipe cards I stamped the recipe images from the Stamping Utensils Add-On Kit. 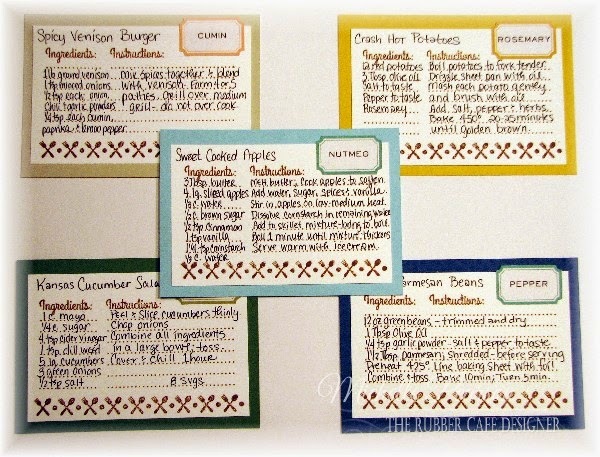 I matted the recipe cards on coordinating paper and embellished them each with a spice that was found in the recipe. How fun was that? 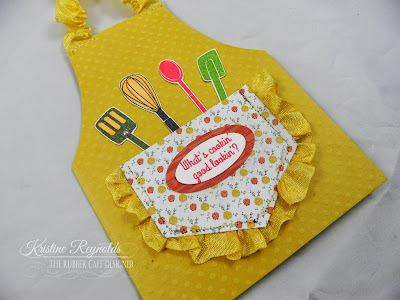 So, you can create a little meal idea with several simple recipes to tuck into the pocket. 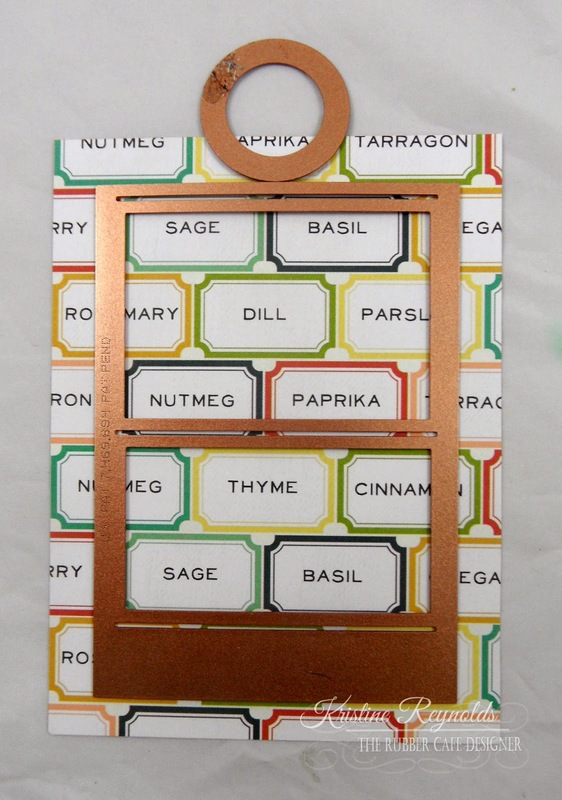 How cute would this be in a basket with some spices and unperishable ingredients for a shower or housewarming gift or even for your Thanksgiving host? Thanks for popping by today! Happy Thanksgiving! 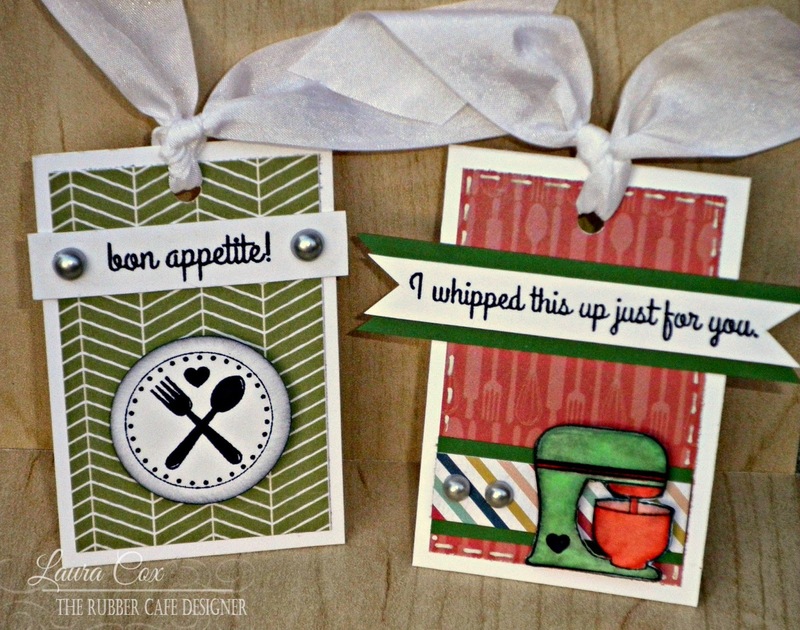 Stamps, Papers: Now We're Cookin Creative Cafe Kit. 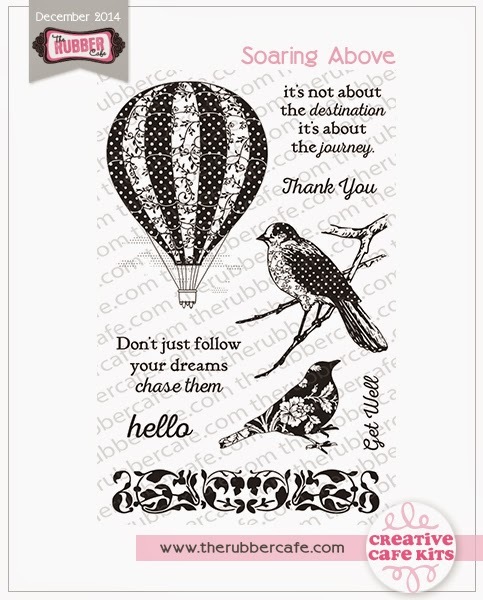 Hi there, I am back with more circles and my third card created with November's Creative Cafe KOTM - Now We're Cookin! 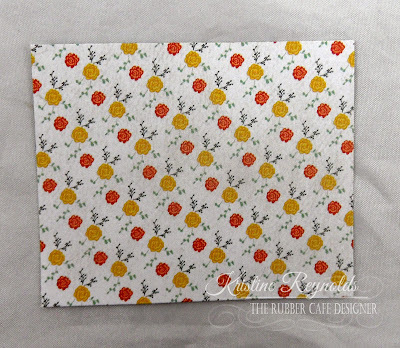 I know you all have circle punches or dies from Spellbinders laying around that will help you accomplish this quick and easy card by just layering some of the pretty papers from the Echo Park 6x6 paper pad and your favorite stamps from the kit. 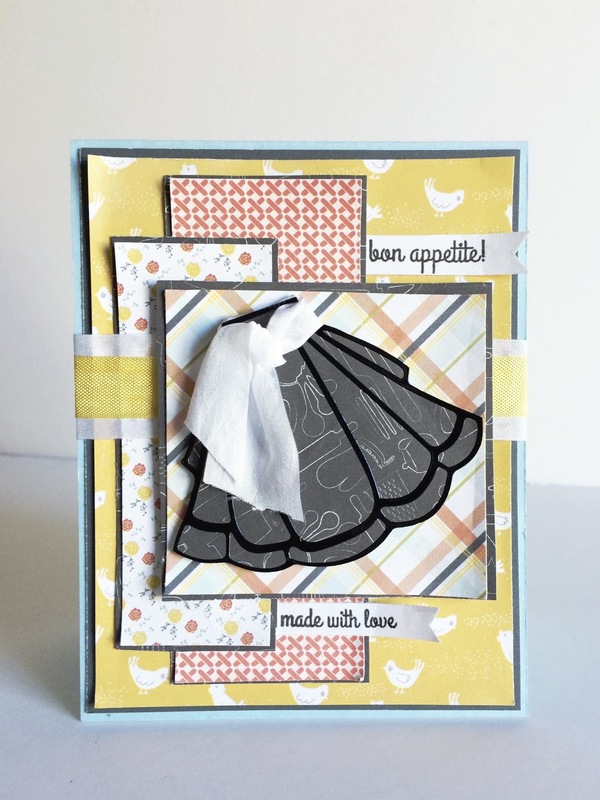 Starting with a 5x5 white card base, I layered strips of paper and circles to achieve this look. 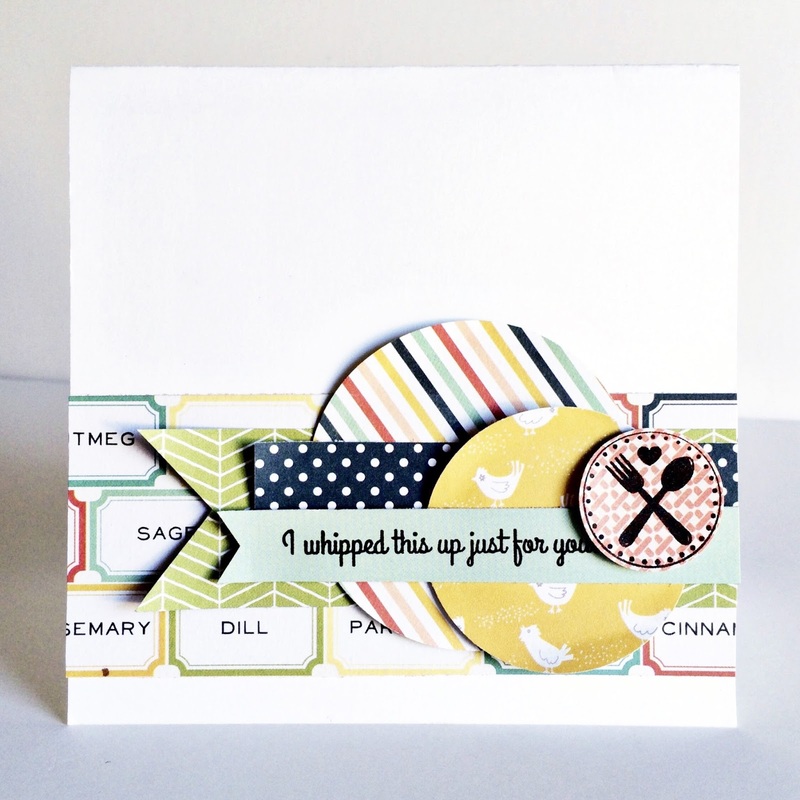 My top circle stamp is backed with foam for dimension. 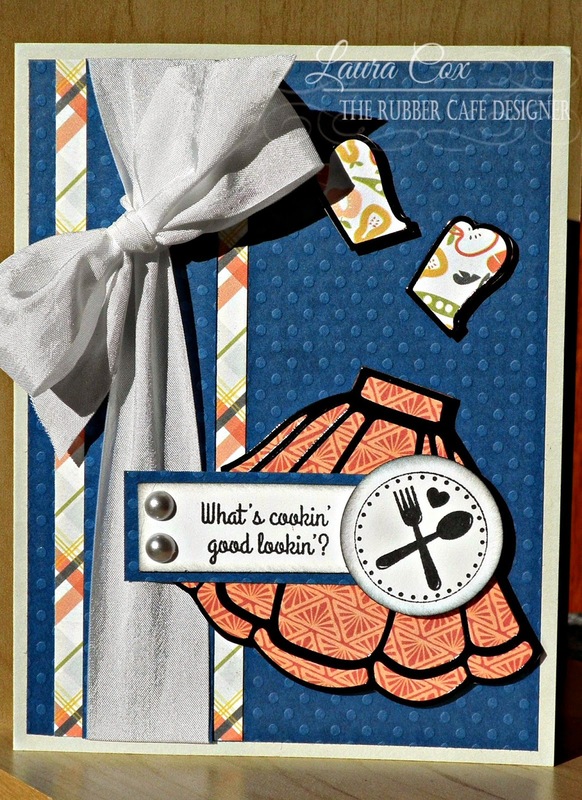 Be sure to keep coming back for more DT designs that will make you wanna start cooking up some of your own cards! 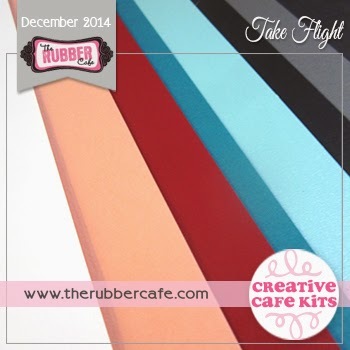 Here is another project I wanted to share with you using this months Rubber Cafe' Creative Cafe' Kit of the Month! 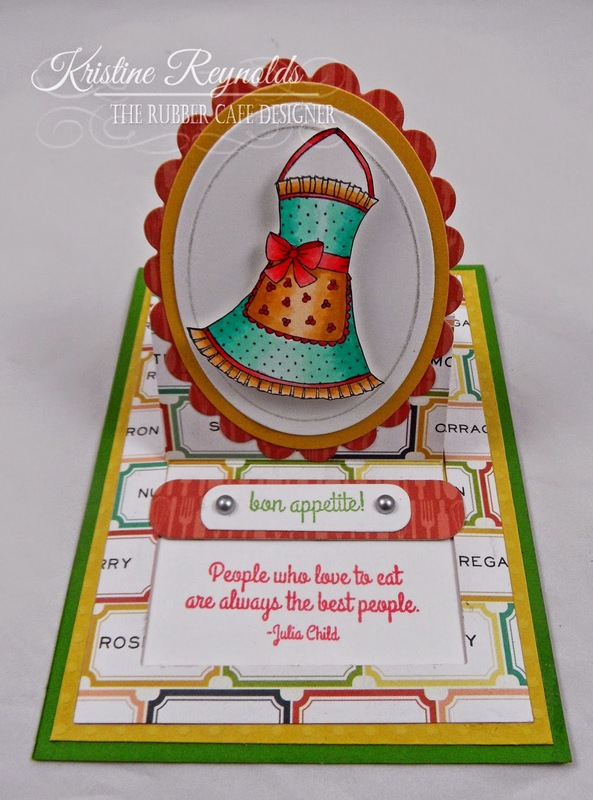 I created this fun fold card using the Easy Slider Card Die Template. 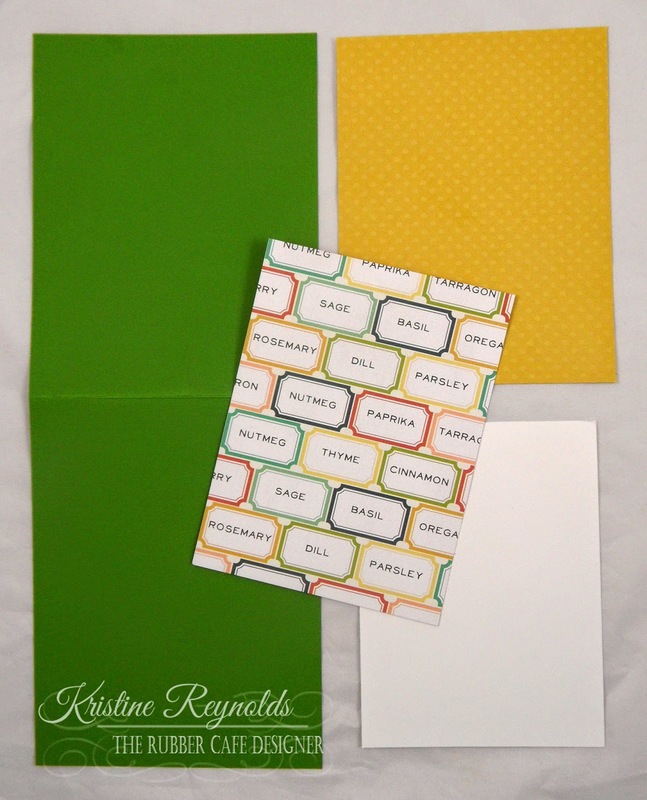 An 11" x 4 1/4" green panel folded in half to create a top folding A2 card. 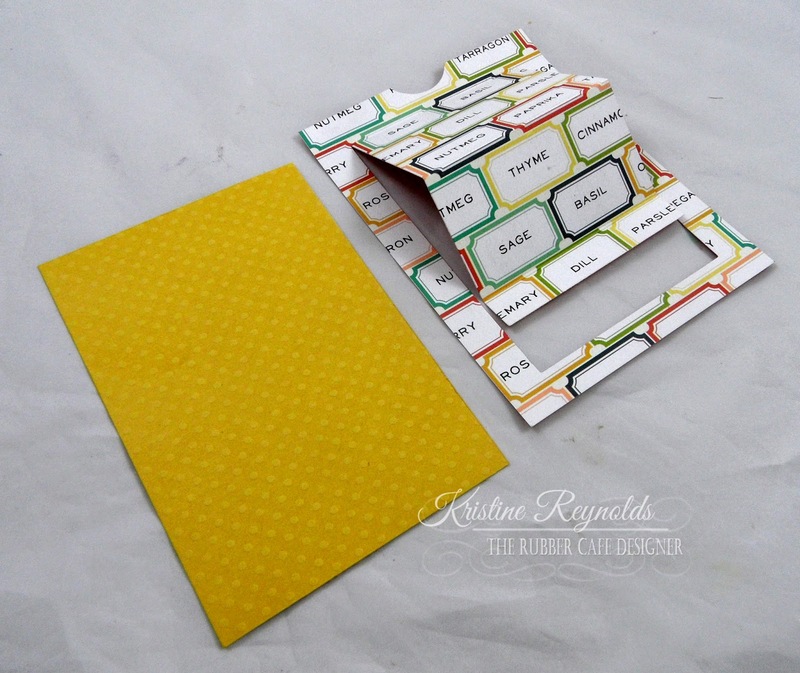 Adhere the yellow panel to the front of the green card with Scrap Happy Sheer Glue. 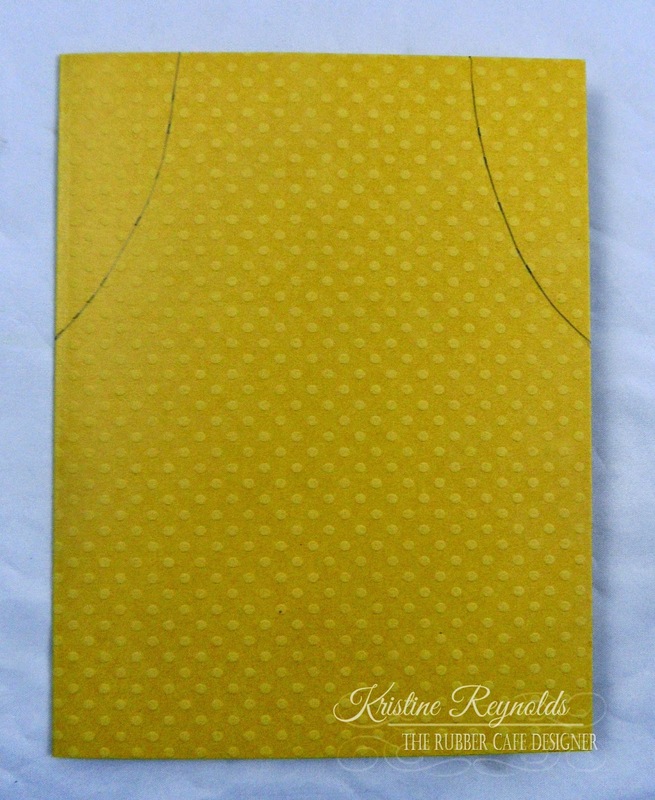 Adhere the white panel to the card front with Scrap Happy Sheer Glue. 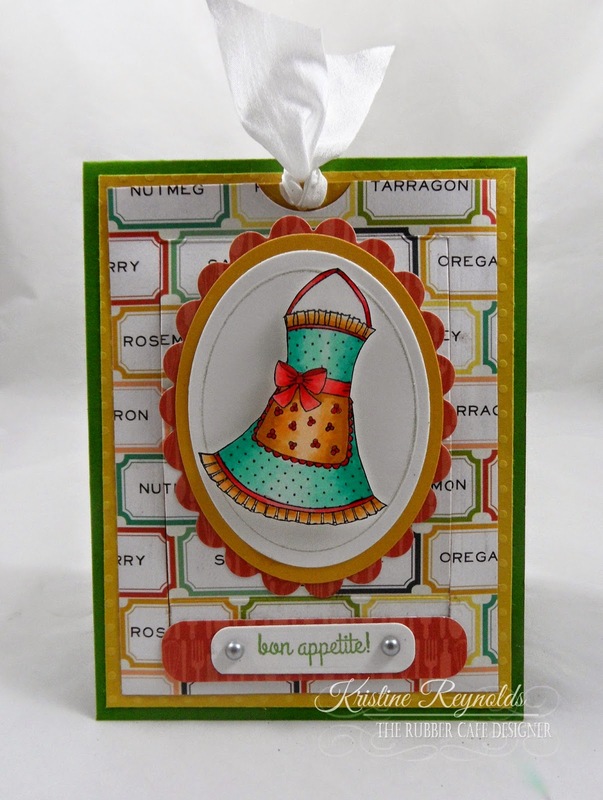 Lay the Easy Slider Card Die Template on the patterned paper panel as shown and run it through your die cut machine. 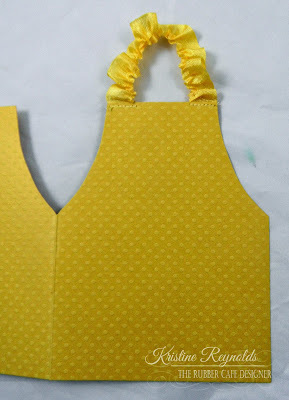 Cut a yellow panel slightly smaller than the patterned paper panel. Adhere the patterned paper panel to the second yellow panel as shown. 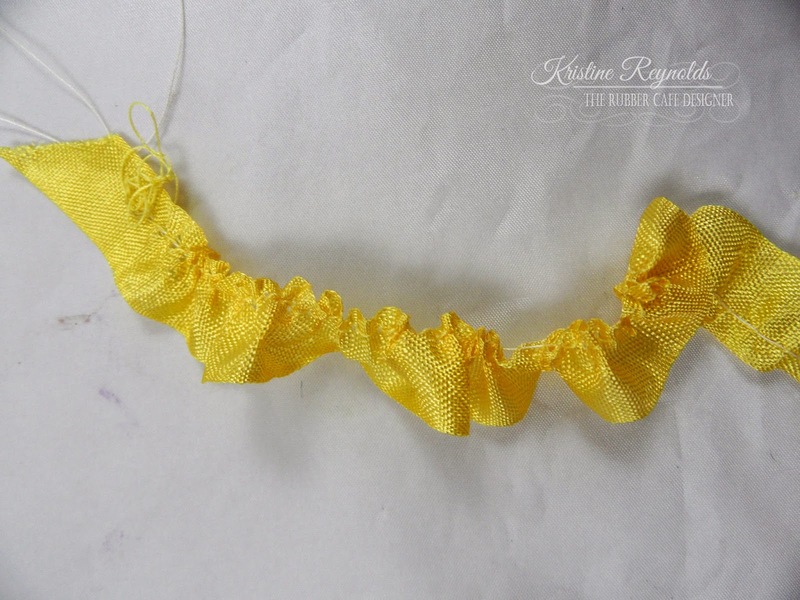 The yellow paper is the slider. 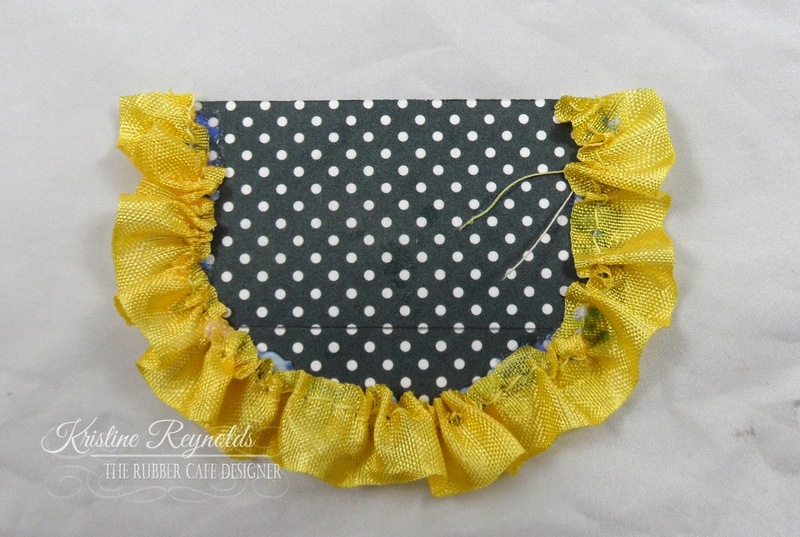 You can see here how the front will slide open. 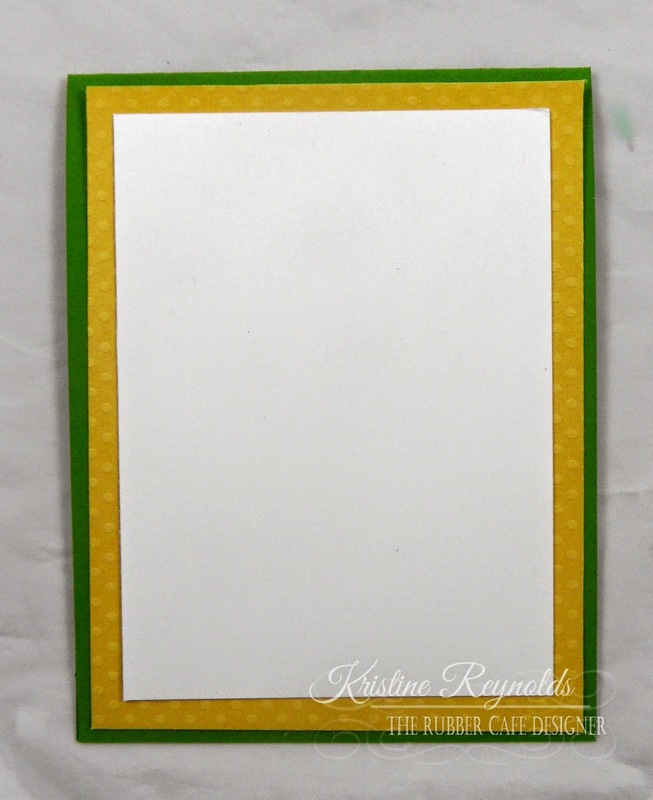 Adhere this panel to the card front by using a thin line of Scrap Happy Sheer Glue around the edge so that it can still slide open. 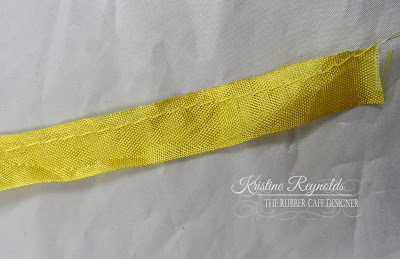 Tie ribbon to the top of the yellow slider panel. Create the main panel by stamping the apron on a white die cut oval and coloring it. 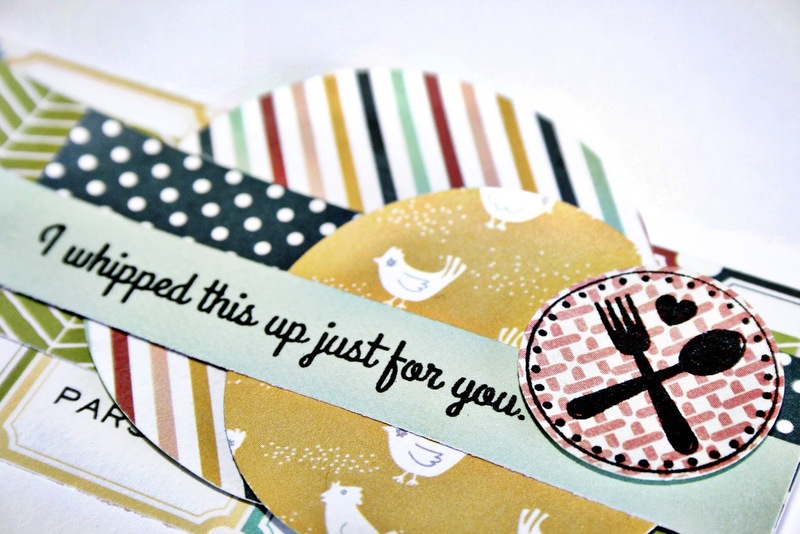 Back with patterned paper die cut ovals and adhere to card. Add sentiment to the front as shown. 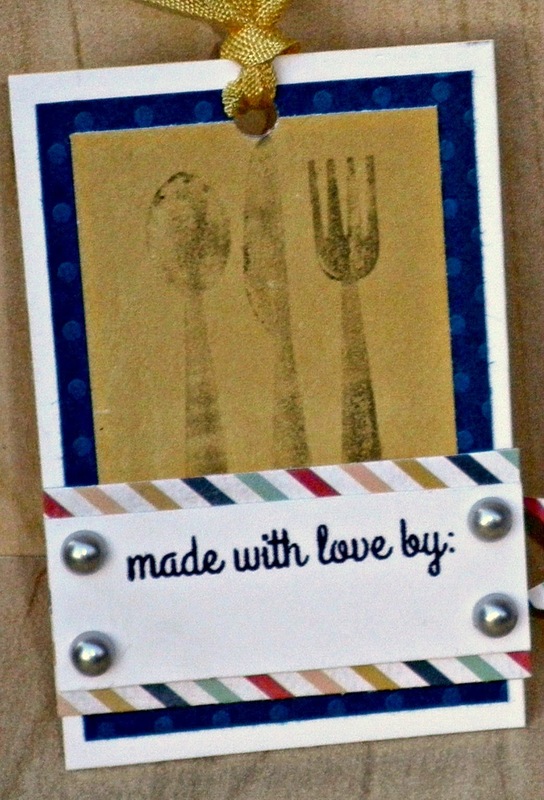 Stamp sentiment with red ink on the inside. 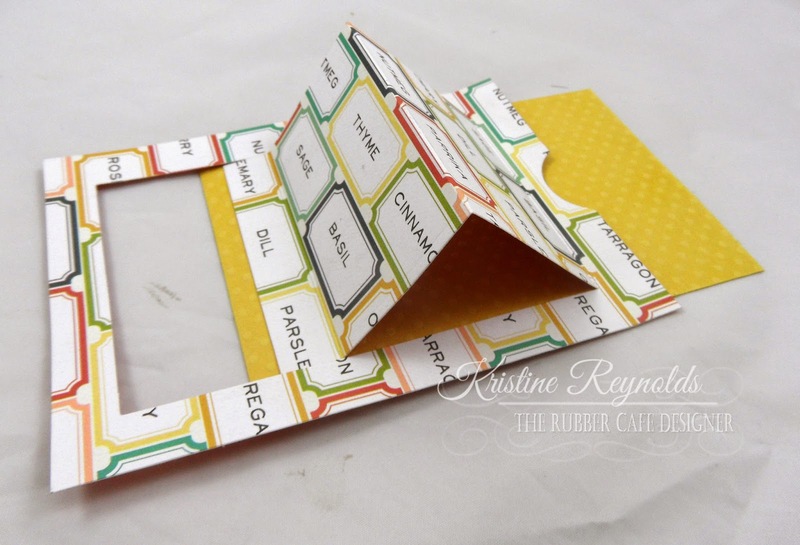 I hope you enjoyed today's fun fold Slider card and that you will give it a try! 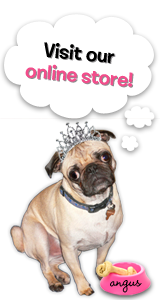 I predict that you will LOVE the results! 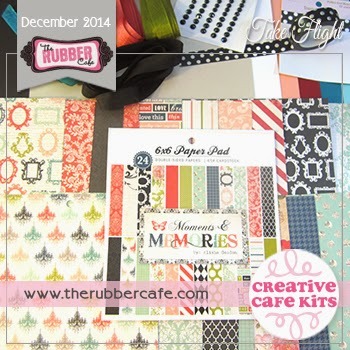 Stop by daily to see even more great samples using this months Creative Cafe' Kit. Cookin' It Up: Creative Cafe' KOTM Style! 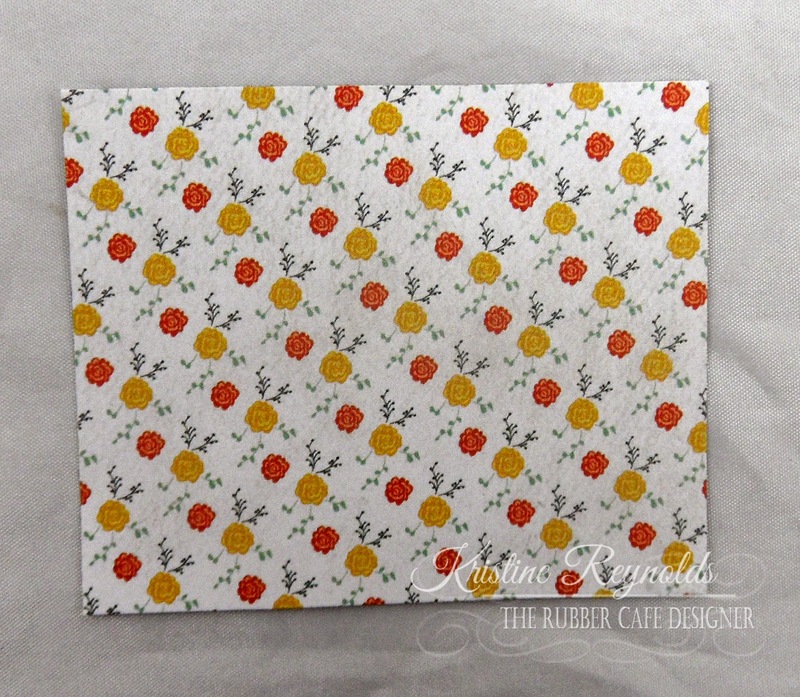 Base: 5&1/2 by 4&1/4" white cardstock. 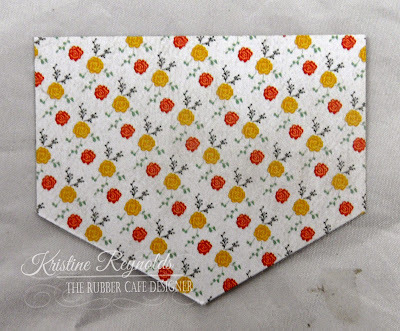 Next Layer: 5&1/4" by 1" strip of blue swiss dot wrapped with a piece of white seam binding ribbon. 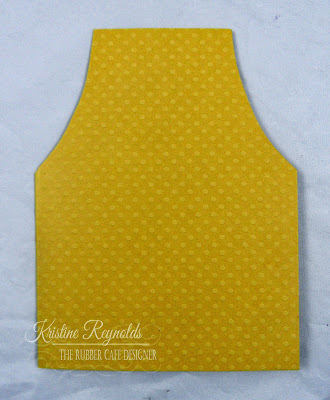 Glue using Scrap Happy Glue to a 5&1/4" by1&1/2" piece of plaid pattern paper. 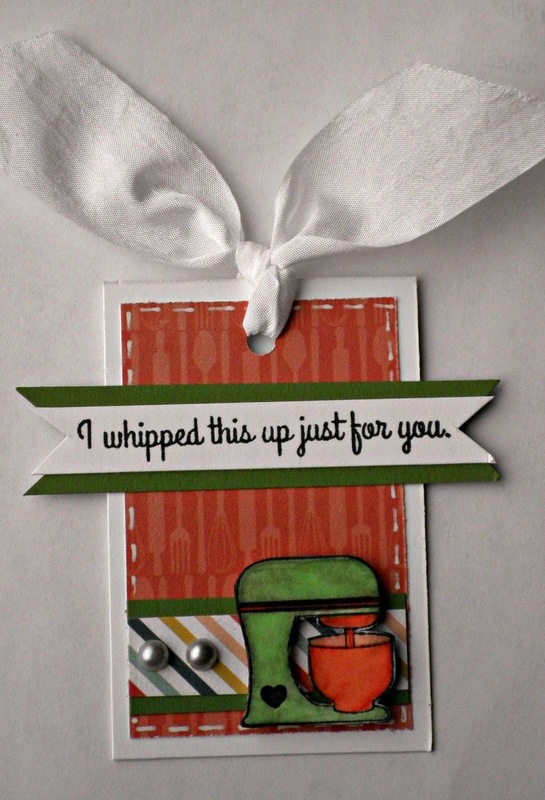 Glue this to left side of card. 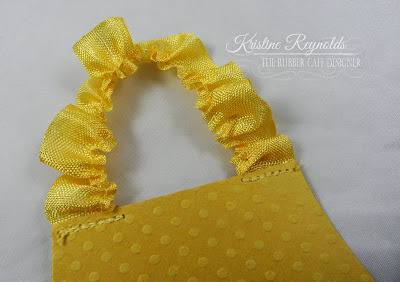 Add bow to ribbon. 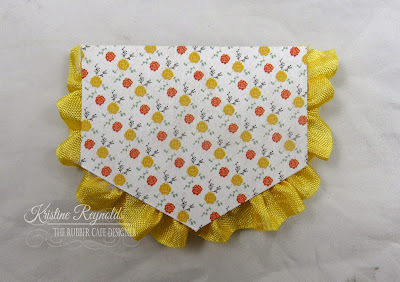 Use the oven mitt and apron peel offs, and stick down on patterned paper, then fussy cut out. 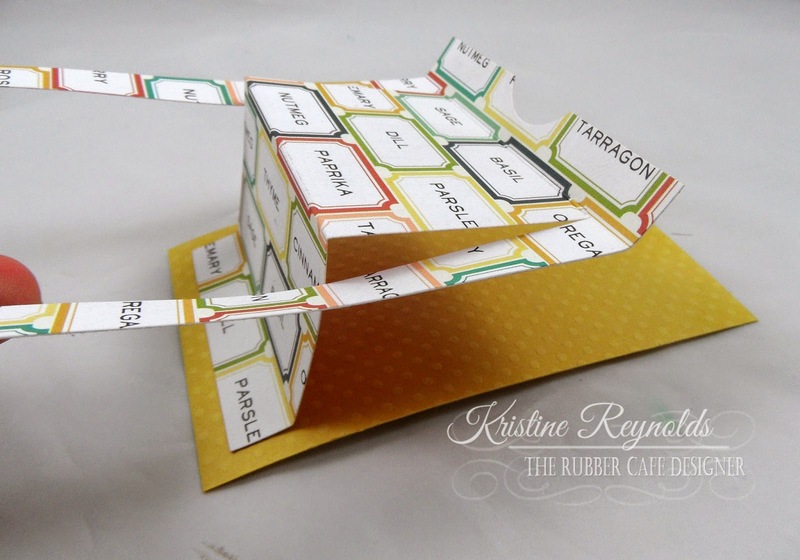 Foam tape to the card front. 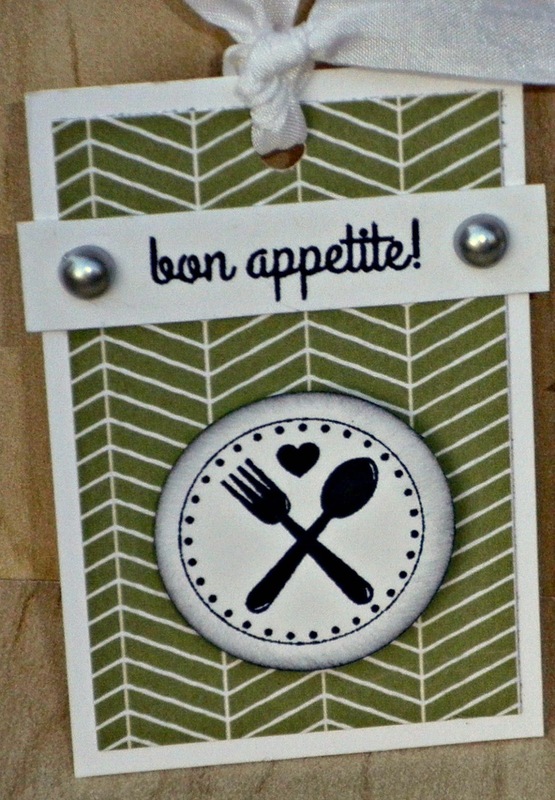 Thanks for stoppin' by the cafe' today....hope you are enjoying the inspiration we are cooking up....more to come soon! pearls, seam binding, outline stickers.